Automated Employee Clock In and Timesheet generation for just € 2 per month. Employee Timesheets - Daily & Weekly Automation. Add / Remove / Edit Employees instantly. Customize anything or everything to suit your requirements. 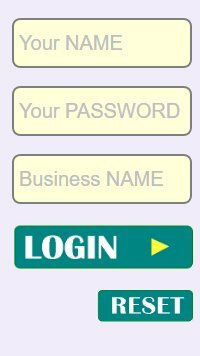 Assign access control to your accountant. Or choose from our list of approved accountants. Create and print custom reports. Access and control your worforce from anywhere - at any time. Employees cannot evade clock in by logging in remotely, and information transferred is encrypted to avoid hacking. Your Timesheets are ALWAYS current, because your affairs are conducted in Real Time. Regardless of circumstance, we have a plan to suit your requirements. 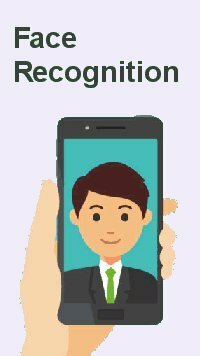 On any Tablet, Phone, Laptop or PC - by selecting their name and inputting their unique PIN code. 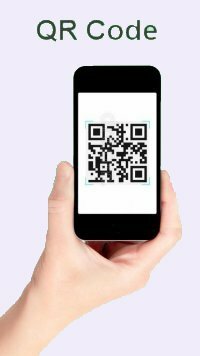 By using their phone to scan QR Codes and entering their unique PIN code on their phone. The employee cannot CLOCK IN (on any device) at home, or anywhere other than at their place of employment. The employee may LOG IN from ANYWHERE and view their Worksheets, Payslips and personal information. If your query is not addressed here please use the contact form below. Clock.ie processes the Data of Users in a proper manner and shall take appropriate security measures to prevent unauthorized access, disclosure, modification, or unauthorized destruction of the Data. The Data processing is carried out using computers and/or IT enabled tools, following organizational procedures and modes strictly related to the purposes indicated. In addition to Clock.ie, in some cases, the Data may be accessible to certain types of persons in charge, involved with the operation of the site (administration, sales, marketing, legal, system administration) or external parties (such as third party technical service providers, mail carriers, hosting providers, IT companies, communications agencies) appointed, if necessary, as Data Processors by Clock.ie. The updated list of these parties may be requested from Clock.ie at any time. The Data is processed at Clock.ie's operating offices and in any other places where the parties involved with the processing are located. For further information, please contact Clock.ie. The Data is kept for the time necessary to provide the service requested by the User, or stated by the purposes outlined in this document, and the User can always request that Clock.ie suspend or remove the data. More details concerning the collection or processing of Personal Data may be requested from Clock.ie at any time. Please see the contact information at the beginning of this document. 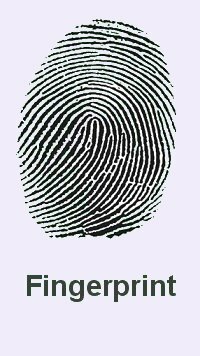 Users have the right, at any time, to know whether their Personal Data has been stored and can consult Clock.ie to learn about their contents and origin, to verify their accuracy or to ask for them to be supplemented, cancelled, updated or corrected, or for their transformation into anonymous format or to block any data held in violation of the law, as well as to oppose their treatment for any and all legitimate reasons. Requests should be sent to Clock.ie at the contact information set out above. Address: Bridge Street, Ballyhaunis, Mayo, Ireland. Please send us more information about your services. If you have any suggestions that might help us improve our site or services please do not hesitate to contact us. Click or Scan the QR Code above. This will log you in to the Demo Employee Clock In. Click or Scan the QR Code above. This will log you in to the Demo Employer Control Panel.